Remember Microsoft buying block-building game Minecraft last year? Well, that purchase makes a lot more sense now. Microsoft CEO Satya Nadella says the firm's in-development HoloLens augmented reality headset was a key reason behind the purchase. It's only taken a few quotes from Satya Nadella to get us excited for the future of wearable tech. The Microsoft CEO has revealed that its $2.5 billion acquisition of Minecraft and its developer Mojang last year had a lot to do with its HoloLens technology. “Let's have a game that, in fact, will fundamentally help us change new categories,” Nadella told the New York Times in an interview. While the hi-tech headset is still very much in early development, it's exciting to think what a HoloLens version of Minecraft would be capable of. HoloLens was only announced in January, but it's certainly piqued the interest of technophiles by offering a different experience to the virtual reality headsets that are on the horizon. We can only imagine how awesome it will be to start world-building on Minecraft. Best of all, Microsoft just confirmed that HoloLens is wireless and doesn't need to be connected to a PC, phone or other device - so you'll have complete freedom when using it. 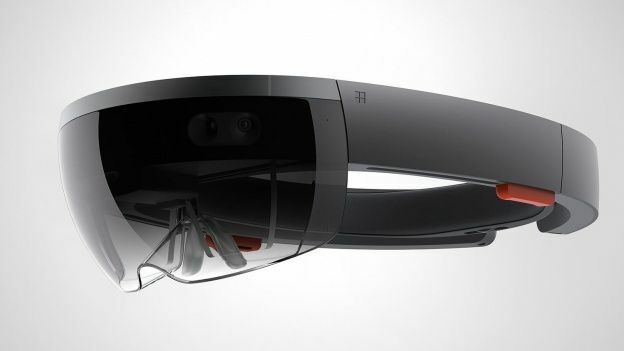 Microsoft debuted the latest version of HoloLens at Build 2015 this week, and it wowed many to say the least. Its video app proved very handy indeed, with the ability to follow you around the room so you can watch on-the-go. Unfortunately there's no news on a price or release date for HoloLens yet, but let's hope it's sooner rather than later.